Journalist, author and film-maker Paul Mason explores the EU project and its many facets. The UK’s conservative government has... used Brexit to inject a sectarian dynamic once again into Northern Irish politics. The centrist political elites who run Europe are displaying an irrational appetite for political risk. Either they don’t know, or they don’t care, that the entire EU project is in severe danger. That’s the only explanation for the insouciant way they are dealing with right-wing populism and the centrifugal forces sweeping politics. In Poland you have the rule of law under attack – both via the attempt to rig the judiciary and, now, with a law banning debate on the complicity of some Poles in the Holocaust. In Hungary you have a government using taxpayers’ money to mount an anti-semitic campaign against the philanthropist George Soros. In Austria you have the first open coalition government between a party of the neoliberal centre and a party of the xenophobic right, resurrecting Nazi-era language. In Spain you have the elected leaders of the Catalan parliament in jail for 120 days without trial, for exercising the most fundamental right in the bourgeois democratic thought system: the right of nations to self-determination. These are not peripheral problems. They are symptoms that the narrative the European Union is built on has begun to fall apart. Consent for inward migration is under stress, so is consent for cross-border migration where it suppresses wage growth and places services under pressure. At the same time there is falling consent for the pooling of sovereignty necessary to solve the economic problems that have dogged Europe since 2008. 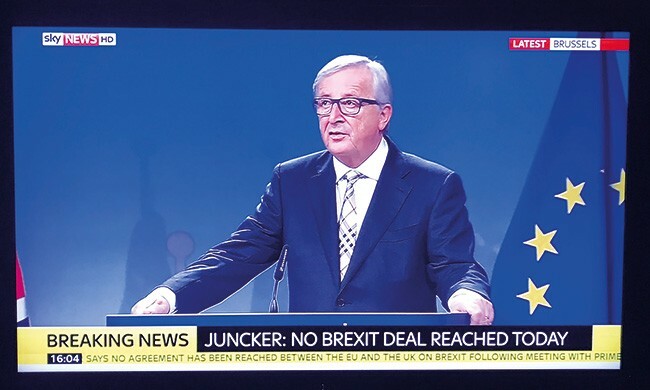 When Jean Claude Juncker outlined five reform options for the EU in March last year I was one of the first to call for “option six” – a Europe of social justice. At the heart of that project would be a new social standard for core members of the EU to aim at. A new Treaty of the EU should mandate the equalisation upwards of all social rights and living standards. The aim of a rapidly equalising minimum wage and social welfare provision would be to quickly regain consent for free movement within Europe and to boost consent for an active inward migration policy under the democratic control of the peoples of the EU. 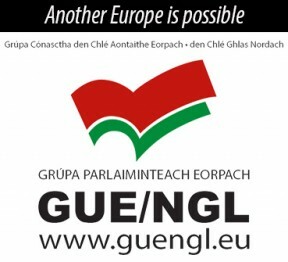 To maintain consent for the pooling of sovereignty, the only option is to make the European Parliament a full legislature, reserve some rights for national governments, and completely depoliticise and disempower the Commission. But it is fairly clear that these measures would be, and are, vigorously opposed by the right-wing authoritarian governments of central and Eastern Europe. And this is no longer just some theoretical or niche issue for policy wonks and civil servants. If you give the Parliament added power, but allow kleptocrats and racists in Warsaw and Budapest to manipulate their own electorates, abuse the state media, victimise NGOs fighting for human rights – then the entire EU electoral system becomes unfree. It means Irish MEPs are sitting in the Brussels and Strasbourg parliament alongside people elected in conditions that would suit an emerging world kleptocracy. When the democratic ethos is undermined in Poland it is undermined in Ireland – to the extent that the EU countries share sovereignty. And sooner or later, as electorates in Europe’s mature democracies see long-cherished goals blocked, and principles undermined, by anti-democratic forces, consent for the whole project will come under greater stress. The huge mistake we made – one of the many delusions of the neoliberal era – was to think that the ruling elites and upper middle classes of certain East European countries had bought liberalism along with neoliberalism. It’s now clear they did not. The more you ask “why are they doing this”, the more you hear Polish, Hungarian and sadly even Austrian academics say: illiberalism, xenophobia and social conservatism are strongly rooted in the elite culture. So the core Europe of social justice won’t have 27 members. That’s a sad fact for the youth of the countries that will be left behind – and progressives in Ireland have to do the best we can to build capacity for democratic institutions and support for progressives in the countries where democracy and the rule of law are under threat, and xenophobia rampant. Unfortunately, one of those countries is my own. 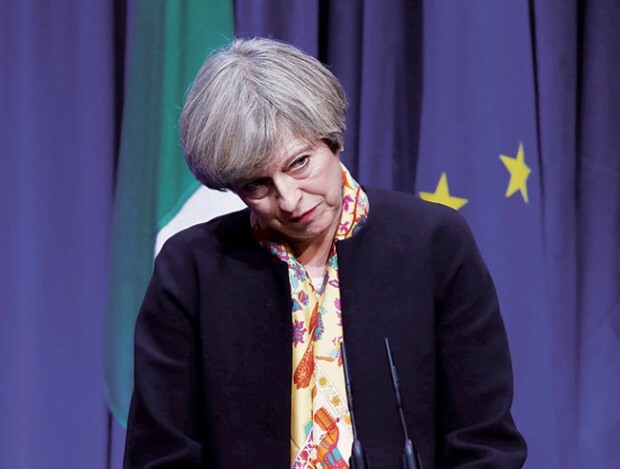 The UK’s conservative government has – with the usual Tory mixture of historical ignorance and cold calculation – used Brexit to inject a sectarian dynamic once again into Northern Irish politics. By co-opting the DUP Theresa May has handed its leadership the power to eviscerate the Good Friday Agreement. What happens next in the Brexit process is highly uncertain, and how the pieces fall into place will affect the future of Europe too. It’s possible that Theresa May will face down her own cabinet and adopt some form of soft-ish Brexit that keeps Britain in an open trade relationship with Europe. But it is more likely that a combination of the EU’s negotiating position with the desire of her own cabinet will make hard Brexit the only option. Progressives in Britain can’t stop Brexit, but it’s entirely within our democratic right to make sure that if May brings a hard Brexit bill to parliament it can be defeated. If so, the government will fall and, hopefully, we can have a progressive coalition between Labour, the Greens and the progressive nationalist parties of Wales and Scotland. But if we fail, and the Tories precipitate a hard Brexit, my experience reporting the 2014 Scottish referendum suggests that, within a generation, Scotland will be independent. 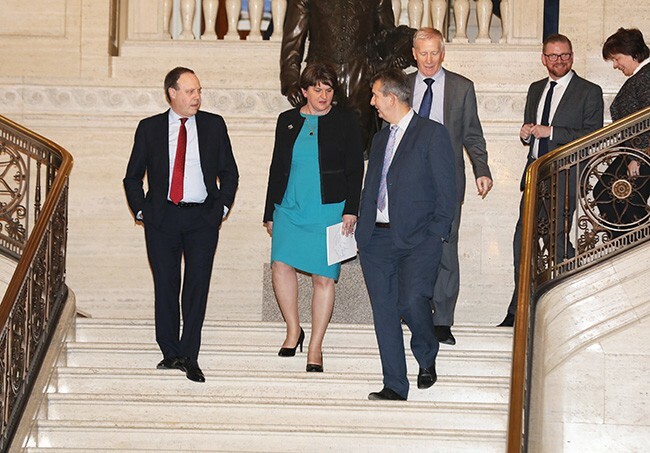 In that situation, the DUP – riding high with its billion pounds and direct rule – will find itself up the proverbial creek. 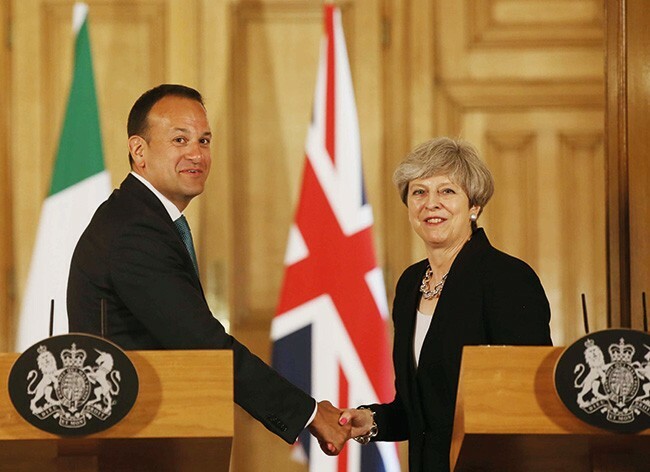 In the UK, Brexit has, for some, become an undeclared project of English nationalism – a nationalism that is, symbiotically obsessed with the language and symbolism of Northern Irish Unionism. When I speak to business and finance people in Dublin they are mystified as to some parts of the British elite’s attitude to the Irish border question. Unfortunately it is not only the product of lack of knowledge or focus - it is driven in some cases by a quite visceral and historic antipathy. The ‘offer’ of a new union between the UK and Éire – crazed as it may seem to readers of this magazine – is actually entertained seriously by some parts of this English nationalist elite. So, as the left renews itself in Ireland the search for pro-active and democratic solutions to the border issue are a problem everyone has to own. The remarkable fact remains that, as Britain enters a process of destructive disengagement with Europe, Ireland remains likely to be at its core. Staying inside a Europe gripped by centrifugal forces and xenophobia is going to be a challenge. If the EU project fails strategically, then the left has to recalibrate. But achieving a large, core, consolidated group of countries with harmonised banking, fiscal and social welfare arrangements – and a vibrant democratic culture - has to be the aim of every left party within the EU. Paul Mason is a journalist, author and film-maker.